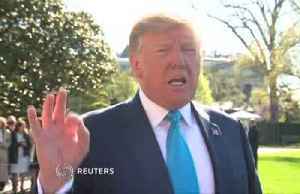 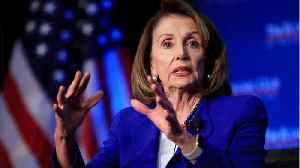 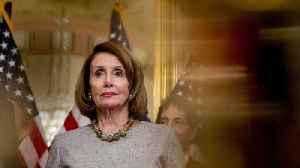 U.S. President Donald Trump should not be impeached unless the reasons are overwhelming and bipartisan, given how divisive it would be for the country, House Speaker Nancy Pelosi said in a Washington Post interview published on Monday. 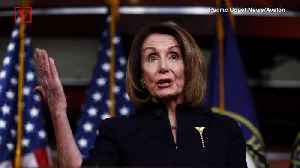 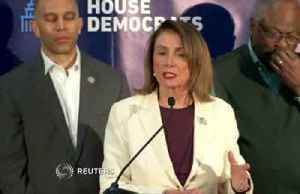 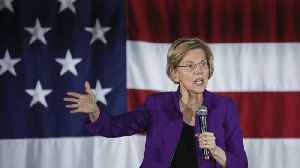 Speaker of the House, Nancy Pelosi, has thrown her weight behind the female Democratic candidates for the 2020 presidential election. Report by Browna. 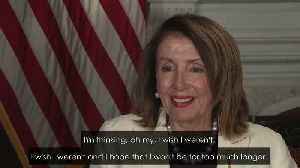 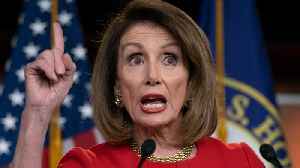 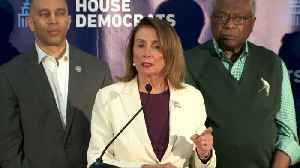 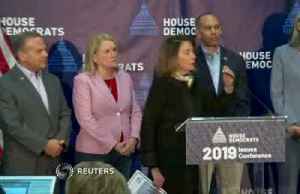 Like us on Facebook at..
House Speaker Nancy Pelosi on Wednesday told reporters at a Democratic retreat in Virginia that U.S. Attorney General William Barr is not Trump&apos;s personal &quot;attorney general,&quot;..
House Speaker Nancy Pelosi on Wednesday told reporters at a Democratic retreat in Virginia that U.S. Attorney General William Barr is not Trump's personal "attorney general," rebuking some of Barr's..